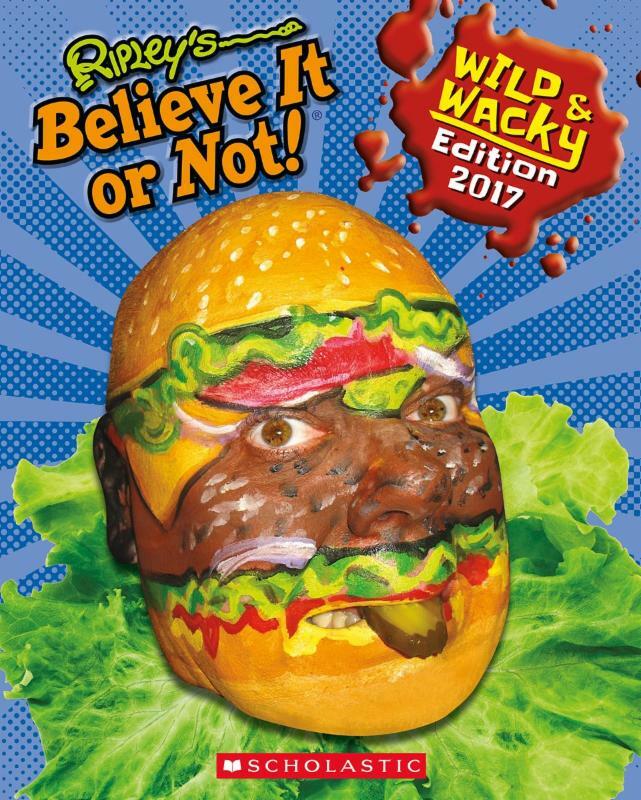 It is exciting news that an eleven-year old entrepreneur and inventor from Metro Detroit who lives just a few miles from our home is being featured in the Ripley's Believe It or Not! Wild & Wacky Edition 2017 which just hit newsstands. In this book aimed for young readers that Ripley Entertainment Inc. created in partnership with children's publisher Scholastic, Alina Morse's story about creating candy that helps fight cavities is included with other profiles about weird scenarios and amazing oddities. Alina's questioning of her father about why no one made candy that was healthy for kids' teeth spurred the daddy-daughter duo to create Zollipops® candy. 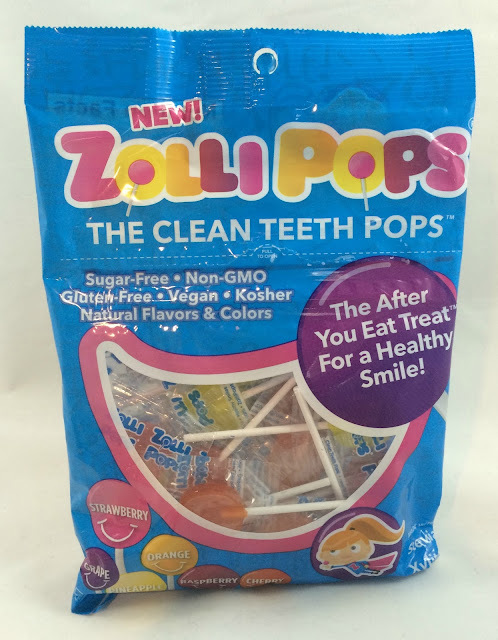 Zollipops help naturally raise the pH in your mouth which helps fight the development of cavities and help teeth remineralize faster. So these sugar-free lollipops are actually a good treat for your teeth -- what a sweet idea! Alina and her Zollipops are featured in a two-page spread as part of a chapter on Entertaining Enterprises within Ripley's Believe It or Not! Wild & Wacky Edition 2017. Zollipops generously sent A Geek Daddy some samples to try out but unfortunately they aren't safe for my kids to eat which added a twist to this review of the product. For children like mine with a food allergy to peanuts it is too much of a risk to let them eat a Zollipop. You see incidents of people having an allergic reaction are more likely resulting from eating something contaminated by peanuts during its production cycle than from an item that actually has peanuts as an ingredient. 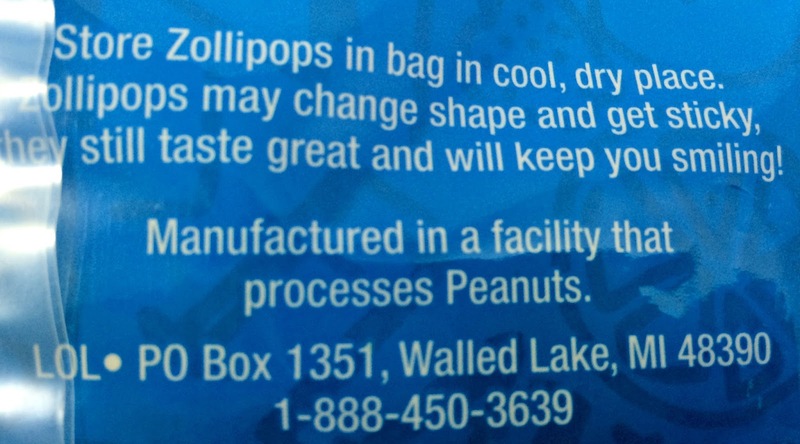 There's the rub -- Zollipops are "manufactured in a facility that processes peanuts." According to the American Academy of Allergy, Asthma & Immunology, peanut is the most prevalent allergen of food allergic children. In fact medical studies have shown the number of children with a peanut allergy appears to have tripled between 1997 and 2008. About 8% of children in the United States are currently allergic to peanuts and while that may not seem like a large number if you think about it that is almost 1 in 10 kids so you are pretty likely to encounter someone with this medical condition. Especially troubling about peanuts is that they cause more deadly anaphylactic episodes than any other food allergy. Zollipops are being marketed as a healthy option for schools to provide by offering free samples for teachers to hand out to students. Lollipops aren't a candy you'd associate as having peanuts as an ingredient and for those who don't deal with this allergy on a day-to-day basis the contamination issue may not come to mind or be considered as not as much of a concern as it really is. I've witnessed on numerous occasions at school functions and sporting events, people trying to persuade the parents of kids with a food allergy that something is safe for a child to eat because the allergen isn't an ingredient even though it was "processed" or "manufactured" where contamination was a risk. Microscopic proteins create these allergic reactions so unfortunately it is not as easy as just looking at something to see if it is safe, especially when it comes to peanuts. If Zollipops wants to market itself as a healthy treat to a widespread audience of kids, of whom many may not have the maturity to say no when offered this candy, they really should have selected a production facility that wouldn't have presented a risk for a dangerous allergen that is negatively impacting a growing number of our population. While Zollipops seem to be a sweet idea that I honestly find to be impressive and innovative, A Geek Daddy has to warn those with food allergies to be wary and advise against people giving them out in situations where they don't know whether or not a recipients may have a peanut allergy. I really actually liked this product but unfortunately in this review A Geek Daddy has to give a head shake instead of a nod of approval to Zollipops because of the food allergy issue. That being said, I don't want to be too harsh as this does seem like a nice product for people not suffering from a peanut allergy -- so if your family knows that won't be an issue go ahead and give Zollipops a lick! You can find Zollipops at Costco, Meijer, U.S. Military Exchange, Toys R Us and Whole Foods Markets. For more information about food allergies, please visit FARE (Food Allergy Research & Education) at foodallergy.org. Thanks so much for publishing this here. We have a son with 4 different allergies. I completely agree, peanut processing facilities should not be making healthy kids treats! Heading to the ER isn't a very healthy result to eating a treat like this. Thankfully we haven't headed to the ER, but we won't be buying the zollipops in the future if they don't change their production facility. The kid didn't invent them. A dental hygienist did. Tom Morse has been pimping out his kid for years. No doubt she will need therapy as an adult. The kid didn't invent the pops. A dental hygienist did. Tom Morse has been making his daughter fabricate this whole story. She may need therapy in a few years.